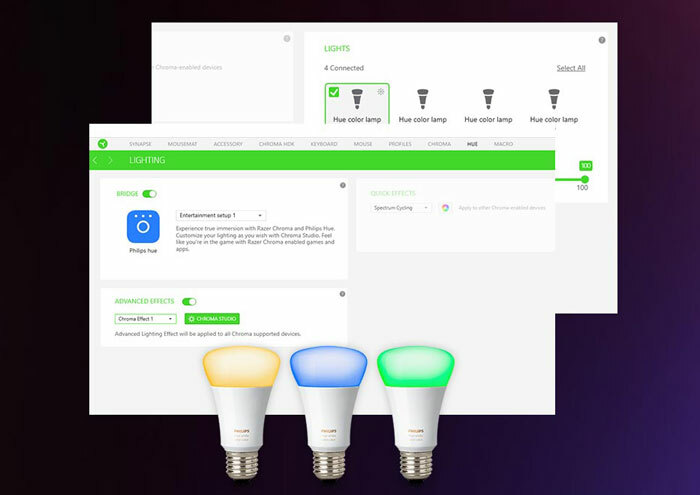 Philips and Razer have got together to integrate the Philips Hue API and the Razer Chroma ecosystem. 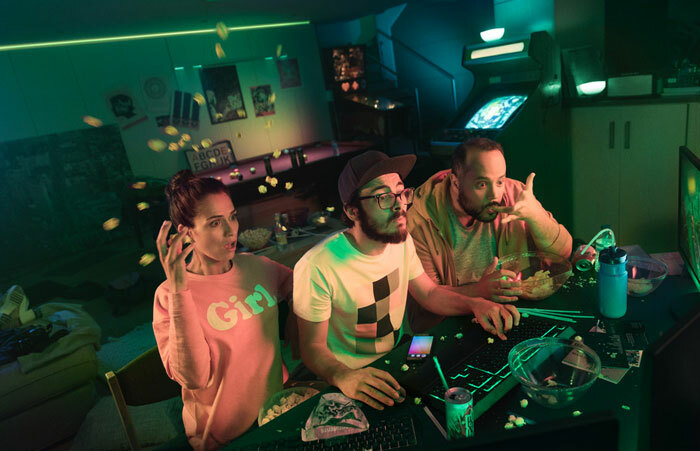 What this means is that the Philips Hue smart home lighting that you own can now help you enter “a new level of spatial immersion,” as you game on your Razer Chroma equipped PC. Philips Lighting’s Business Group Leader, Chris Worp, likened the new lighting system integration to “surround sound for your eyes,” as it takes the content beyond the periphery of the physical screen. If you have all the above, games that have been designed with Philips Hue and Razer Chroma Link integration and light effects, will be able to sync together. Already games such as Overwatch and Quake Champions have Hue/Chroma synchronisation. Razer points out that the lighting sync isn’t just useful in gaming scenarios. The system can be used to sync ambiently to help users enjoy simple relaxation, when hosting friends, or even when surfing the web at home. Agree completely. What's next Asus TUF Gaming logo above my toilet? Matching RGB LED lights above my kitchen sink? My flat is arse about face and my bedroom and en suite are downstairs and the en suite doesn't have a window but does have a extractor fan hooked up to run automatically when you switch on the lights and then run for a good 20 minutes after you switch it off, thing is when you get up in the night to have a pee the bugger keeps you awake for ages. Just before xmas I looked for a solution and found this doohicky on Amazon, motion sensitive lav light, I now open the door to the en suite, leaving the light off, and the throne lights up majestically!